Scott Marketing is committed to keeping all personal data safe and secure and processing it solely for lawful purposes and in accordance with the policies set out below. Keeping data safe and increasing transparency are of utmost importance to us. We’re committed to the changes that the new GDPR law makes and ensuring that people will benefit from the added privacy protections this law provides. We retain a record of emails and all other communications received or sent, in particular full financial records of any transactions conducted with our clients are retained for a minimum of 7 years. 3.3 Market Research: From time to time we may collect information from bona fide research panels, or through an email campaign. Data subjects are invited to participate and are completely free to choose to respond to our surveys or polls. We will normally collect information such as the respondent’s name, contact details and the survey responses as appropriate to that case. Such information is always collected under the code of conduct of the Market Research Society and the results published in aggregate, without revealing any information that can be identified to any individual participant. On occasion the incentive to participate may be a prize draw, in which case the winner may be identified on the Scott Marketing website with their permission. We also collect anonymised publicly available information from social networking sites such as Facebook and Twitter, for example likes, shares, tweets and posts about Scott Marketing. This information is provided to us by a third party and is fully anonymised so we cannot see who has posted the information. This information is used for internal analysis purposes. 4.2 Client Data: On occasion a Scott Marketing client may provide us with a file of their customers together with associated product or service usage history. This would solely be for analytical purposes and we would only retain the file in complete confidence and for the exclusive purpose as contracted with the client. Most frequently the file would be anonymised, but it will include contact information where the purpose is profiling, as outlined in 5.3 below. 5.3 Profiling: We offer our clients ‘customer profiling’ to help them understand more about the persons or businesses who purchase their products or services. This is for our client to be able to identify persons with similar characteristics to their customers and then to go on to promote their business to them, either through targeted advertising or direct marketing. Although some of the data is processed as a result of informed consent, primarily we process data on the basis that it is in our legitimate interests, or the legitimate interests of our clients. This will normally be for the purpose of providing information on products and services of relevance to the data subject or with the objective to improve the products or services offered. Data subjects have the right to object to us processing their data for the purposes set out above and, unless we have a compelling lawful reason to continue processing, we will stop any further activity immediately. Unless we are provided with specific further consent we only share the information with bona fide suppliers who assist us with the fulfilment of our services. These suppliers are carefully vetted to ensure that they maintain similar data privacy policies and are fully compliant with all aspects of GDPR. In addition we share our clients’ accounts information with our external accountants. The exception to this is only where we are required to do so by law or to protect or enforce our rights or the rights of any third party. Scott Marketing is committed to upholding the following rights of data subjects. However, in some circumstances we may request proof of identity before complying with specific requirements. 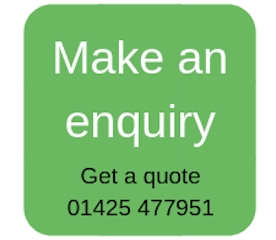 In any event we will need to collect the name, address, email address, phone number and any relevant information in order that we may respond to any request. Where necessary we use such information solely for the purpose of responding to the request. We normally respond as soon as we can and in any event within one month of receiving a request and any necessary proof of identity or further information. If the request is particularly difficult or complex, we may require longer to respond in which case we will inform the data subject within the 30 day deadline. 8.1 Freedom of information (Subject Access Request): On request we will provide any data subject with a copy of all or part of the information we hold on them as determined by their written request. 8.2 Processing Data: Data Subjects have the right to stop us from processing all or part of any personal data where we are relying on legitimate interests as the legal basis of our processing. 8.3 Inaccurate Data: Scott Marketing will promptly correct any inaccuracies we are informed of, provided we are satisfied that the new data is accurate. 8.4 Transfer: We will transfer information held on any data subject to another organisation when requested provided we have received confirmation of their identity from the data subject making the request and also confirmation from the receiving company that they agree to accept the data in a standard format. 8.5 Data Removal: On request we will delete all or part of the information we hold on a data subject and we will inform the third party, whenever they were the source of the data. This right is known as the ‘right to be forgotten’ and we uphold that right other than in the circumstance where we are required to retain the data by law or it is required to protect or enforce our rights or the rights of any third party. 9.1 Encryption: All data files containing personal data files are encrypted as are any files despatched to our customers. 9.2 Access: Files are maintained on password protected personal computers with passwords changed every 60 days. All access is restricted to employees, each of whom is trained in our data privacy policies and whose employment contracts specify their adherence to these policies. We do not provide any external access to our primary databases, the majority of which are maintained on our internal computers. Some client owned files are maintained in secure environments on the cloud to facilitate their access. We employ sophisticated anti-viral software to ensure our systems remain secure and confidential. 9.3 Office Security: Our offices are locked at all times and entry is accessible only to authorised staff with keys or by invitation when members of staff are present. We also use Google Analytics to help understand how our customers are using our site, so we can continue to improve it.